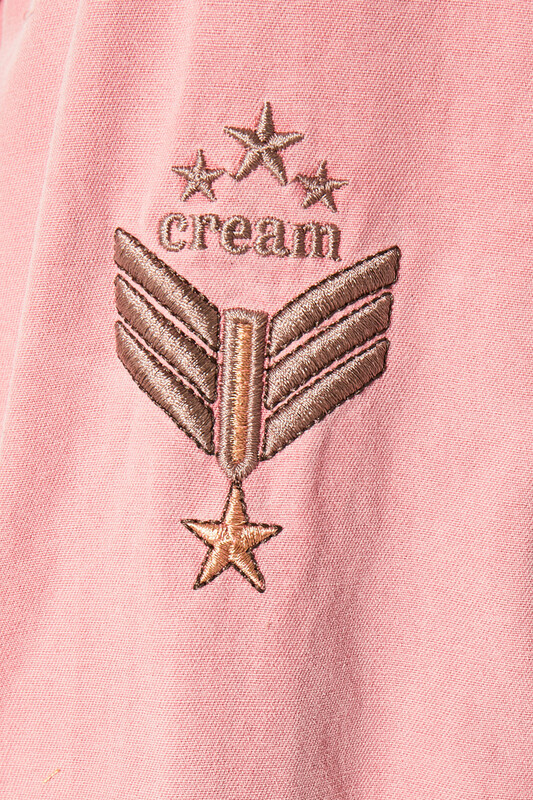 Really cool army-inspired jacket in a feminine trendy colour from Cream. 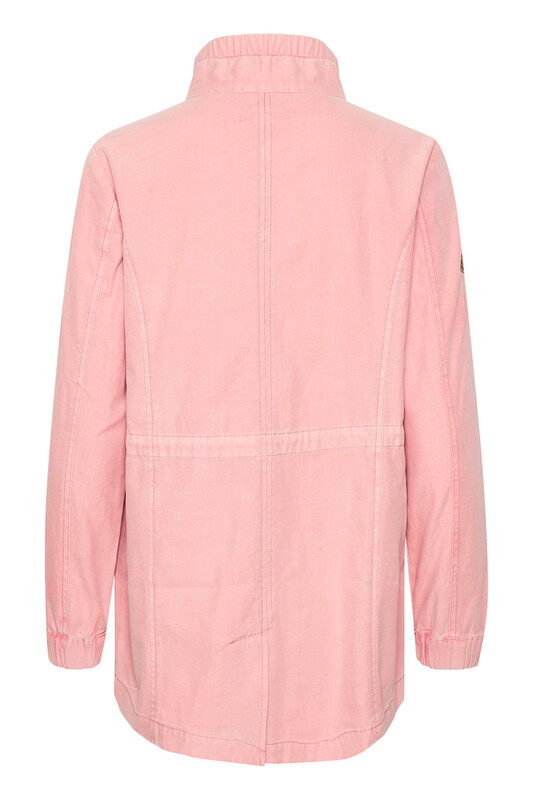 This spring jacket is a must-have and is very nice to wear. It has both zip fastener and snap button closure. The jacket has front pockets and one pocket on the chest. The waist has a tie belt that it can be adjusted to your liking. 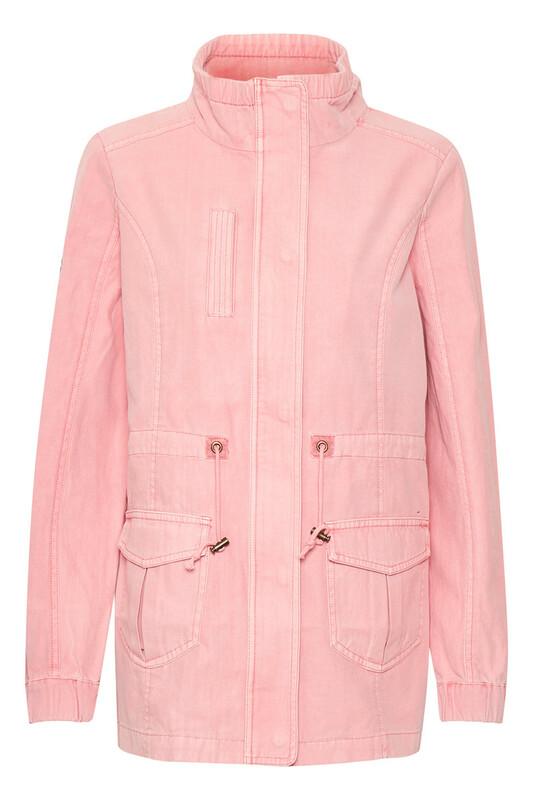 The jacket has a good length, a high stand collar, long sleeves and a cool army-look-a-like embroidery on the right shoulder.